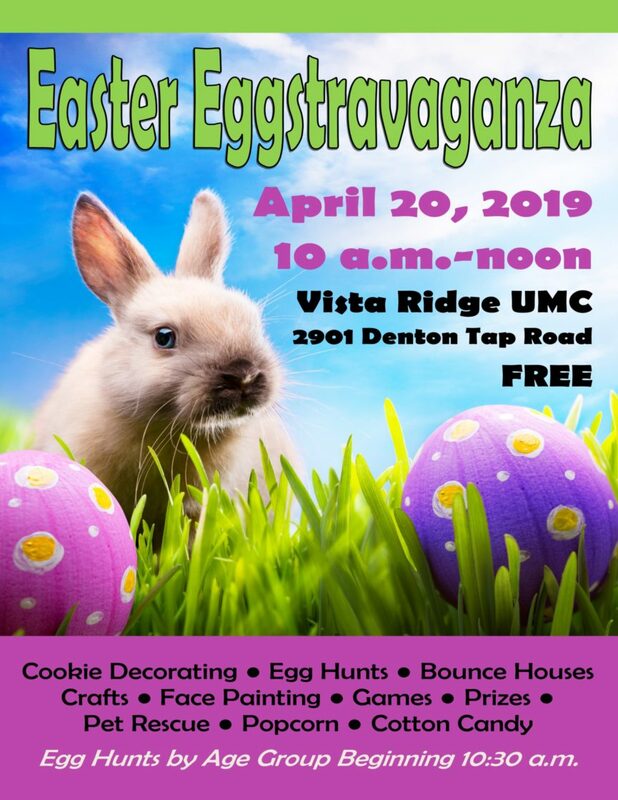 Vista Ridge UMC is hosting a morning of fun at Easter Eggstravaganza from 10 a.m.-noon Saturday, April 20, 2019. Kids through 5th grade are invited to enjoy egg hunts, bounce houses, face painting, crafts, cookie decorating, games, prizes, cotton candy and popcorn. Free fun for the entire family!